Founded in 1982, High-Touch Communications are the proud makers of the HourGlass Time Tracking and Project Management System. HTC is always on the look-out for new talent to keep us on the cutting edge of Web development and design. If you think you have what it takes, fill out our General Application Form. 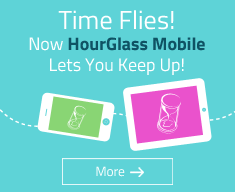 HourGlass is a registered trademark of High-Touch Communications Inc. All rights reserved. Meets or exceeds client acquisition and aretention goals. Secures the client relationship and drives customer satisfaction. Assist in day-to-day Website maintenance, aworking closely with Project Manager on related projects. Provide technical assistance to clients via telephone and email. Record/track problem reports, coordinate resolution, and provide status reports to management as necessary. Review open tickets daily and work toward resolution within time frames specified. Provide training and support to users of our time tracking and project management system. Guide prospects through the product tour and account setup process. Return customer service calls promptly. Follow-up with customers via written correspondence as needed. Send problem notifications to management as needed and work closely with Technical and Design team members to resolve issues. Maintain positive professional relationships with clients, colleagues, and management to ensure a pro-active team-oriented environment. Goal-oriented with the ability to work in a fast-paced, rapidly changing environment. Pleasant personality with strong communication skills (written and verbal) in English & French. 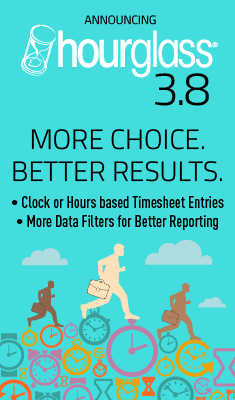 Ability to meet deadlines and input data with speed and accuracy. Team player with excellent customer service and organizational skills. A positive attitude with a customer focused approach. IE6 isn’t dead yet: you must have a general understanding of cross-platform, cross-browser compatibility issues. High-Touch Communications was founded in 1982 as a marketing and design company, and we’ve evolved into a Branding & Web firm that delivers results-driven, complete solutions. We like combining expertise in strategy, design and technology so we value team members you can approach our projects with a total perspective. We are located in a beautiful loft office, and we are a small, but dynamic team of Web professionals. Strong performers enjoy great perks, and initiative is greatly appreciated. 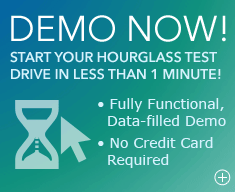 We are also developers of high-end Web-based productivity software including IgnitionWeb (www.ignitionweb.com), Internet marketing software and a robust Content Management System (CMS) that empowers businesses to Inform, Promote and Transact online, and HourGlass (www.hourglass.ca), a time tracking and project management application for companies who bill for time and materials. Apply Now!